Looking through my nail polish collection today, I had to find some pretty dried up glitter polishes. All of them are from Ciaté and mini sizes. Even though I like Ciaté as a brand and their colour range, I must say that these three polishes disappointed me quite a bit. To be honest these ones are from the advent calendar from 2013 and 2012, as I write that down I just realize how long ago that may seem like, but I do have other glitter polishes, even older than that, which didn’t dry up yet. 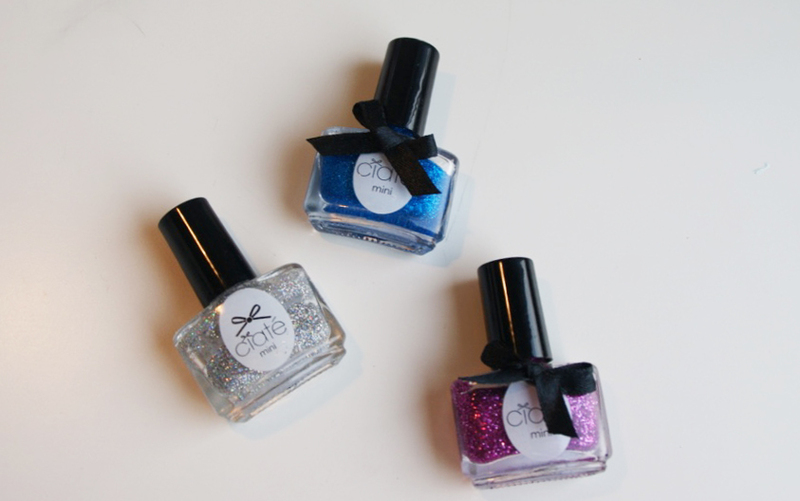 The three bottles are „PP086 – Confetti“ (the silver one), „Glass Slipper“ in a blue shade and „Magic Carpet“ in pink. All of them are now in a quite thick texture and there is no way I could apply that on to my nails. I still like my other Ciaté polishes, but I will probably stick to not glittery ones within the range of them. Did you have similar experiences with Ciaté? And which brand does have your favourite glitter polishes? I would love to hear.